Following her attendance at the Widows screening, Elizabeth Debicki attended the 2018 Glamour Women of the Year Awards at Spring Studios yesterday evening(November 12th) in New York. She posed on the red carpet wearing an all black look by MONSE. 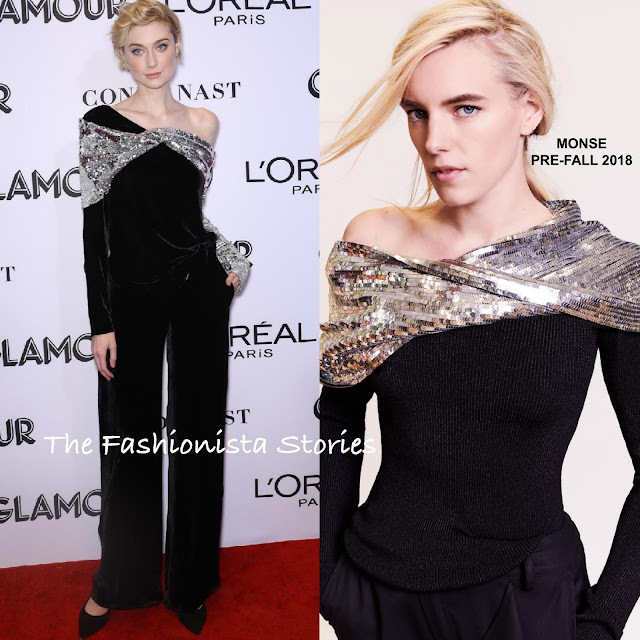 She wore a PRE-FALL 2018 asymmetrical black & silver sequin twist shawl velvet top and the matching trousers. Elizabeth's ensemble has a chic, sporty feel which is a look that Monse continues to do well. I am not sure how I feel about the black pumps but honestly, they are simply what this look needed. A short wavy cut and diamond ear cuffs finished up her look.